Sorry if it is too early for anyone to think about! 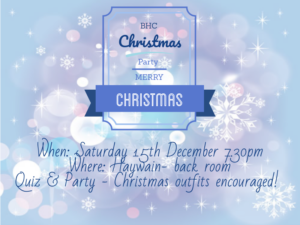 The BHC Christmas party has always been a good giggle and this year will be no different! Quiz & Party – Christmas outfits encouraged!